DOTA 2 is a multiplayer online battle arena video game, the stand-alone sequel to the Defense of the Ancients (DotA) Warcraft III: Reign of Chaos and Warcraft III: The Frozen Throne mod. Developed by Valve Corporation, DOTA 2 was released as a free-to-play title for Microsoft Windows, OS X and Linux in July 2013. In August 2015 the most recent STEAM survey shows that at any given time of the day there are on average 600,000 people playing the game title with a peak of nearly 1 million. 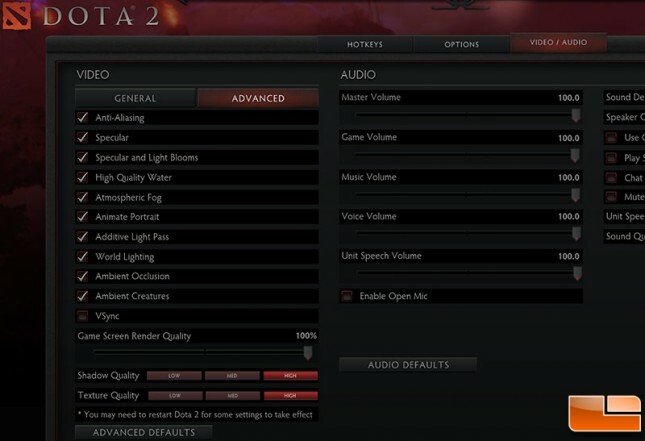 DOTA 2 uses the Source game engine by Valve. 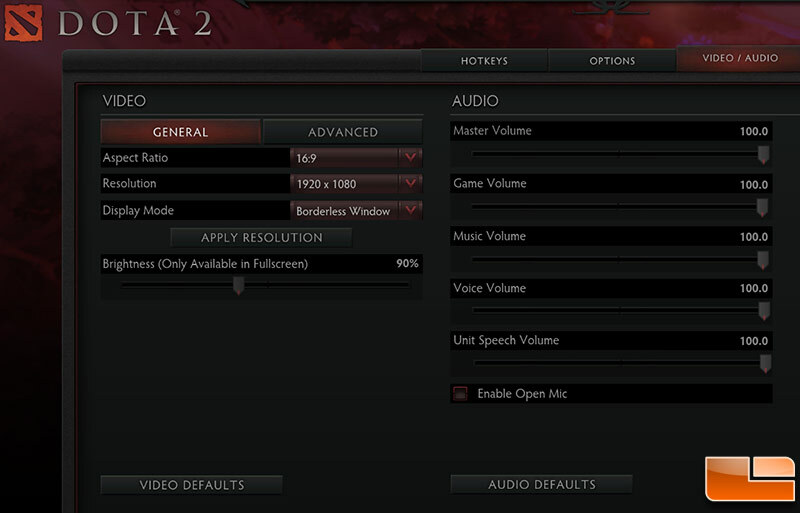 We tested DOTA 2 at 1920 x 1080 screen resolution with VSync disabled. The rest of the settings we set to high or enabled. We did go into the console and raise the fps_max from 120 to 1000 to raise the frame cap ceiling to set it to 1000 fps to better show the performance differences between the cards. 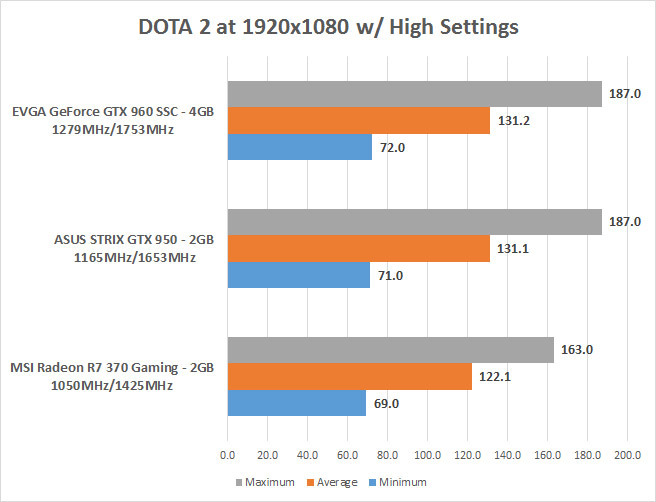 Without raising the FPS cap it should be noted that all the cards we tested had exactly the same average frame rate as they were at the frame rate cap for most all of the benchmark. We used Game 4 in the International grand championship match as our test replay. 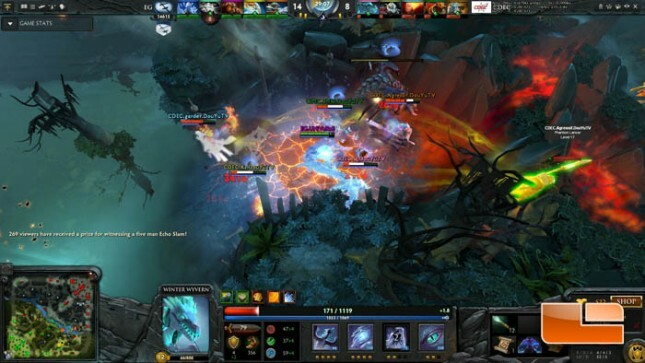 We ran FRAPS for 90 seconds starting at the 28:00 minute mark on the replay of CDEC vs EG. This part of the game is known as the 6 Million Dollar Echo Slam and is one of the memorable matches we’ve seen. The Match ID is 1697818230 if you’d like to download this section and try it out on your own system to see how it compares to our results. In the replay that we used we found the GeForce GTX 960 and GeForce GTX 950 cards to offer very similar performance on our test system and we honestly couldn’t tell a difference between the two cards in our system. The MSI R7 370 GAMING 2G0 video card on the other hand was found to have lower performance. The minimum frame rate was down just 2-3 FPS, but the average was lower by nearly 10 FPS and the peak frame rate was 25 FPS lower. 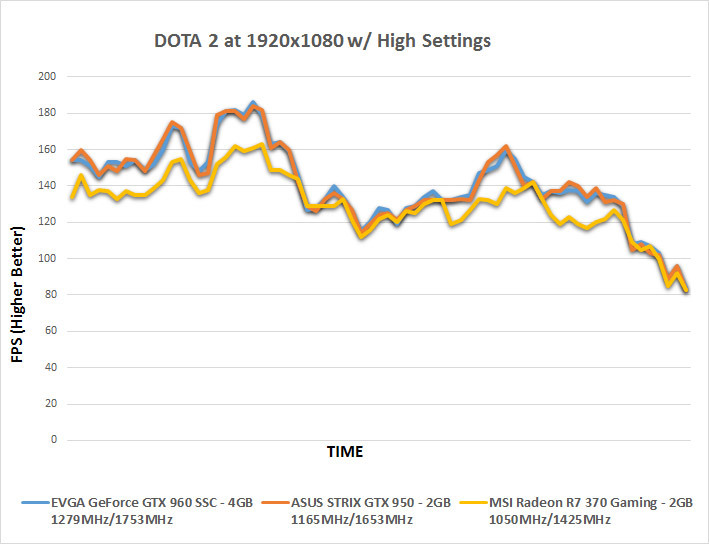 Benchmark Results: Here is the FPS result charted over time and you can see how the NVIDIA GeForce cards appear to excel at the periods of the replay where not much action is going on, but the AMD and NVIDIA cards are very similar when you get a large number of Heroes in one area battling it out.